It's time for healthcare for everybody. It's time to rebuild our middle class. It's time to focus on the needs of rural communities. It's time to bring common sense and decency to politics. It's time to stand up to bullies. It's time to retire a lifelong politician. Jamie has run — and won — two prior campaigns. She has eight years of elected experience serving a constituency of 120,000 (comparable to a state-level rep) while working full-time. Degrees in Engineering, Masters of Regional Planning and law degree (J.D.) with a focus on water, natural resource, and Indian Law. Career includes Reconstruction & Water Program Manager for the International Rescue Committee in Bosnia and Kosovo on repair and water projects for schools and health clinics. Environmental planner for the Santa Clara Valley Water District for five years, ensuring compliance for water quality and supply, flood protection, and stream stewardship projects. 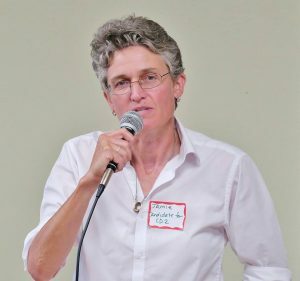 Jamie was a union member (AFSCME) for over ten years, served as co-director of Employee Resource Group, and negotiated on behalf of an environmental planners employee group. As a water professional, Jamie's experience meets key needs in our district. She has both personal and professional experience in the district, nationally, and internationally. Jamie has deep Oregonian roots and her multi-generational family lives throughout the district. She is a proud step-mom to four kids. Jamie is committed to refugees and our Veterans. She has managed reconstruction projects in war-torn Bosnia and designed water systems in rural Kosovo, where she worked with our troops to secure the peace. When she returned to the US, the International Rescue Committee appointed her Regional Director of their San Jose office, where she led efforts to help refugees achieve self-sufficiency. Jamie has experience in the practical side of government. In the public sector, Jamie served as a Senior City Planner in Silicon Valley, where she developed public policy to address climate change and affordable housing. She later worked as an Environmental Planner for a regional water agency serving over two million customers in both urban and rural areas. While in office, she developed a reputation for being socially progressive, fiscally responsible, and a champion for government ethics. Jamie has run successful campaigns and held elected office. While living and working in Silicon Valley, Jamie was encouraged to run for City Council. She ran as an underdog and won. While in office, she developed a reputation for being socially progressive, fiscally responsible, and a champion for government ethics. During her eight years as a Councilwoman, Jamie received multiple awards for her service. She led her city to aggressively increase its renewable energy portfolio, provide greater affordable housing opportunities, improve economic development, and create a safer and more welcoming community. 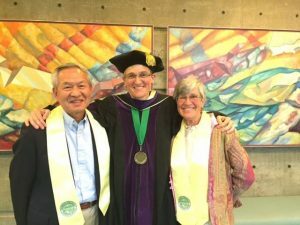 After terming out of office, Jamie returned home to earn a Juris Doctorate degree from the University of Oregon, focusing on Natural Resource and Water Law. Since returning to Oregon, Jamie has worked for the US Army Corps of Engineers, on Klamath water rights, and as a city manager. Jamie has strong Oregon roots and family ties throughout the district. Jamie was born in Wisconsin, the birthplace of popular Oregon Senator Wayne Morse. 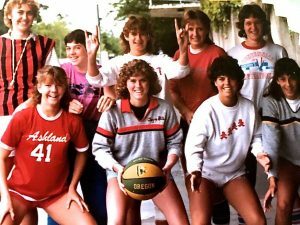 She moved to Ashland for high school – she still holds a track record at Ashland High, more than thirty years later. While in school, Jamie helped her family make ends meet by cleaning horse stalls and bucking hay. Married and a step-mom to four kids, Jamie and her wife have family throughout southern, central, and eastern Oregon. 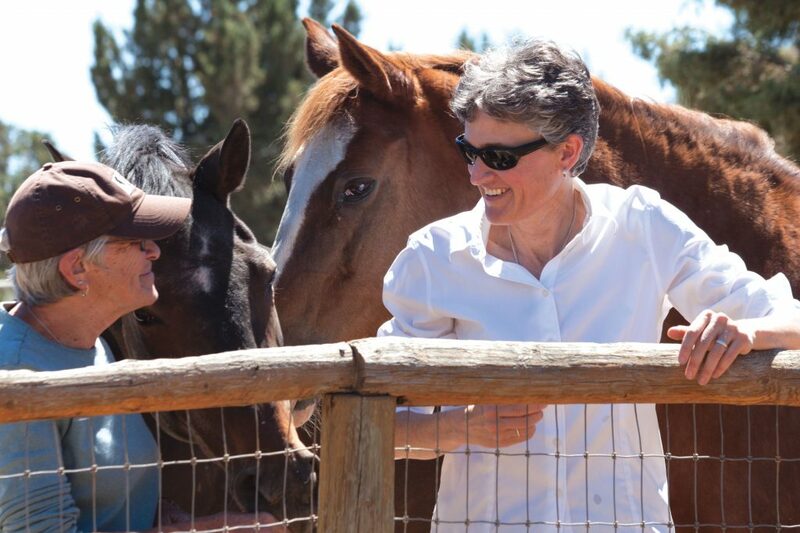 They help her keep her ear to the ground, bringing perspectives from Medford to Crooked River Ranch, from Ashland to Jordan Valley. Let's talk about Phoenix and ethical leadership. “I am committed to ethical public service, and I believe in standing up for my constituents.” – Jamie McLeod-Skinner. In Phoenix, Oregon, Jamie was hired by an organization with chronic turnover in leadership - she was the city’s seventh city manager, including interim managers, in eight years. When Jamie applied the experience she had gained working for award-winning cities, including addressing payroll mismanagement in Phoenix, she was fired. When pressured to go quietly, she called for a public hearing – knowing she would be vilified – to alert the people of Phoenix as to what was going on in their city. She proudly stood up for what was right, even when she knew it could cost her job. Leadership takes courage. That’s what integrity is all about. Jamie’s work in Phoenix was consistent with her proven reputation of being fiscally responsible and having an absolute commitment to ethics. "My experience as a city councilor with Jamie McLeod-Skinner as the city manager of Phoenix, Oregon was very professional. Jamie entered into a position that had been vacated many times due to assorted reasons." Jamie has answered the call and is ready to serve our district, to help bridge the urban-rural divide, to build healthier communities, and to be a champion for rural Oregonians.